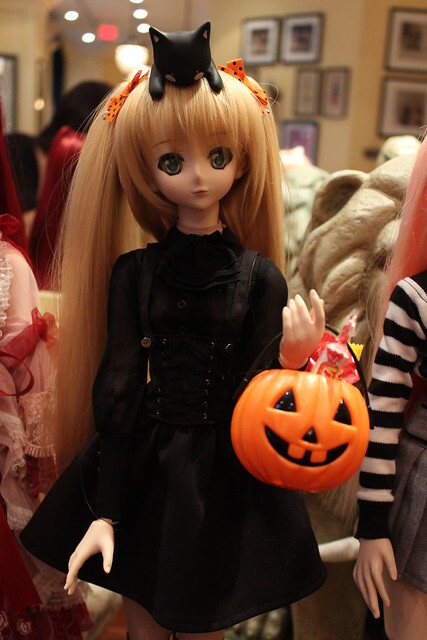 Meo’ brought his lovely Kud with him, and also an adorable little Panda Mamachapp! 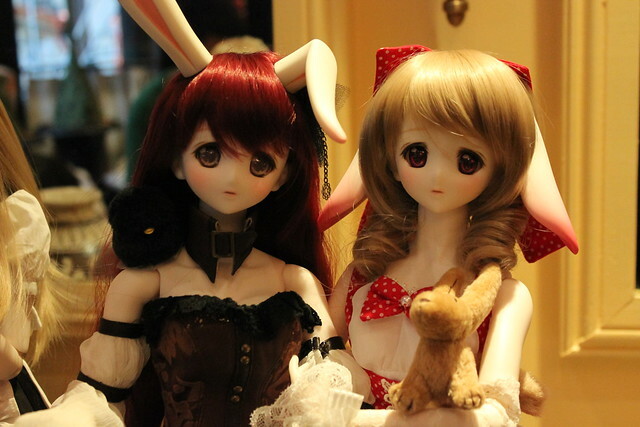 Choco brought his Sasara (in the middle here), and PlasticFantastic brought Madeleine (custom HDD-06) and Yoko. 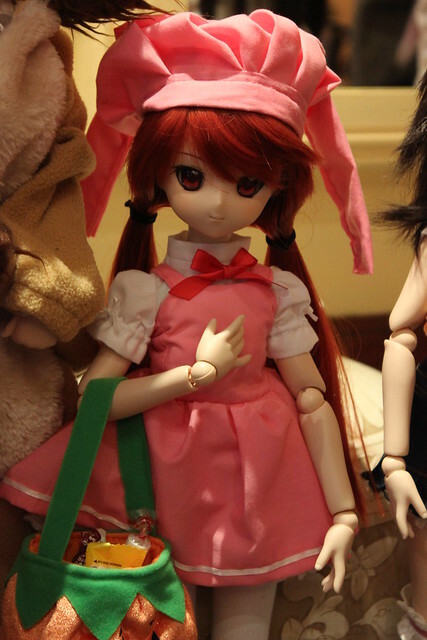 And also di-chan123’s Shana (MDD Louise) dressed up as CardCaptor Sakura! Towering over Médée is Serena in this gorgeous white and pink gown. Serena looks absolutely gorgeous. 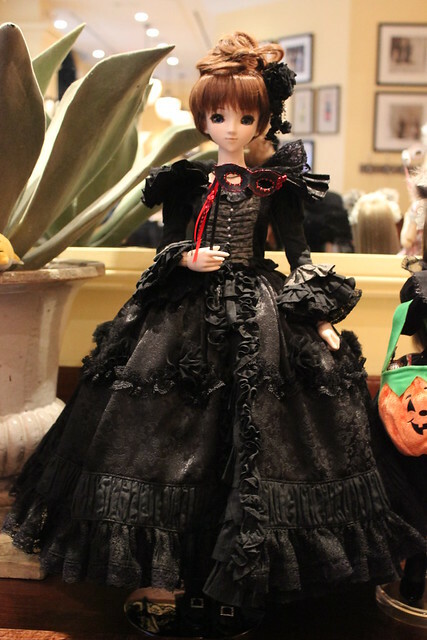 Almost hidden behind the frills of Serena’s dress is PlasticFantastic’s Mio. 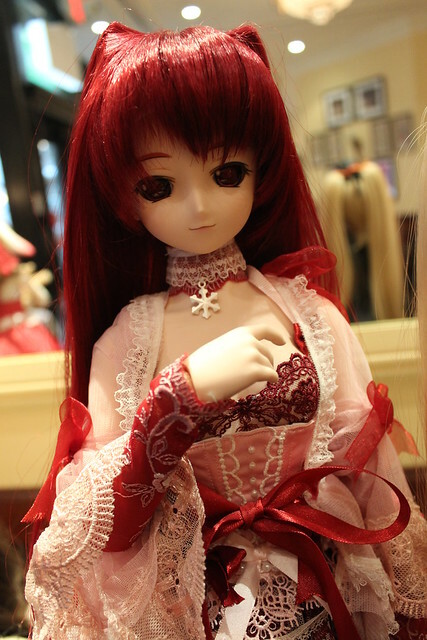 On the left we have Meo’s beautiful Tamaki in a beautiful red flowing dress. 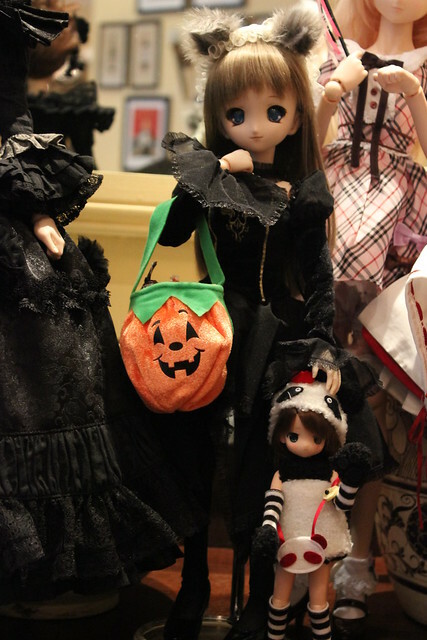 Gabrielle is being a cute little witch with a Kuroneko on her head. I’m not used to seeing her as a blonde, but I think she looks quite adorable. 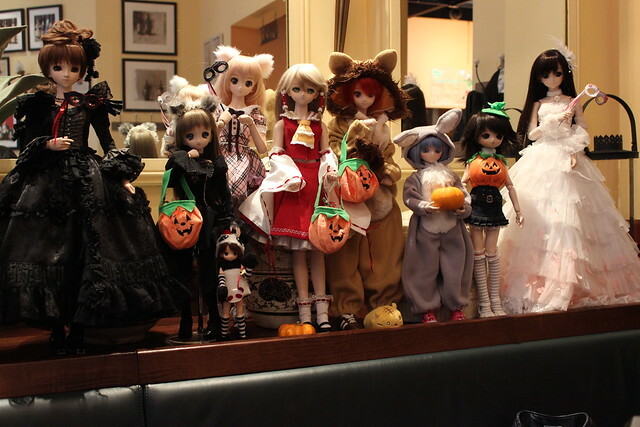 Next in that group photo is MrCool’s Harumi, a silicone girl from LovelyDoll, and then twin Saber Alter’s side by side! One is AyaToyBox’s Saber and the other is CenturyStory’s Primula. Saber Alter was very popular! Here’s HyperCurve’s Saber Alter too! 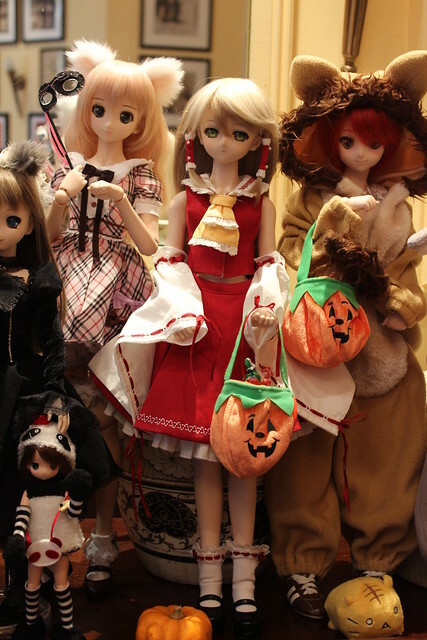 We had a small group of cute resin dolls at the meet too! 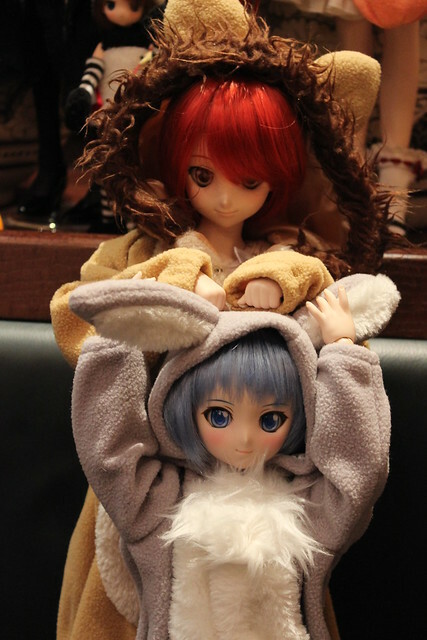 Machiko brought Lareine (RosenLied WS Sage – on the far left) wearing a pretty kimono and Sora (Volks YoSD Kakeru) dressed as a cute little sheep. 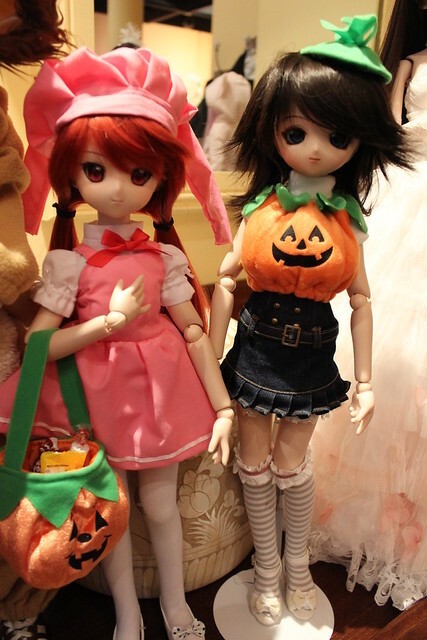 Whitefrosty brought two of her little boys – Yukio (Volks YoSD Puff) is dressed as a ladybug and is hogging all the candy! 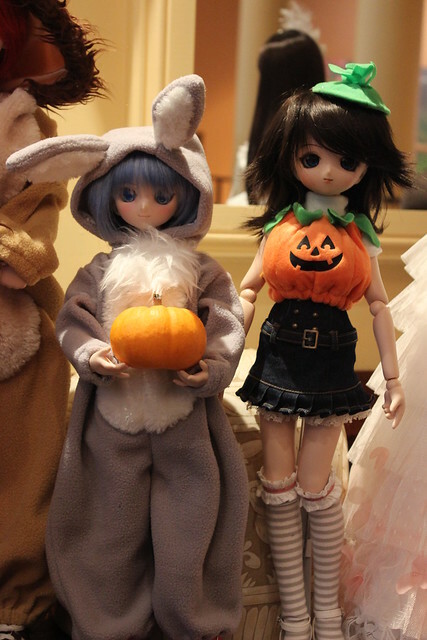 Myles (Luts Honey Delf Taffy) is dressed up as a little bumblebee and looking a bit miffed at Yukio! 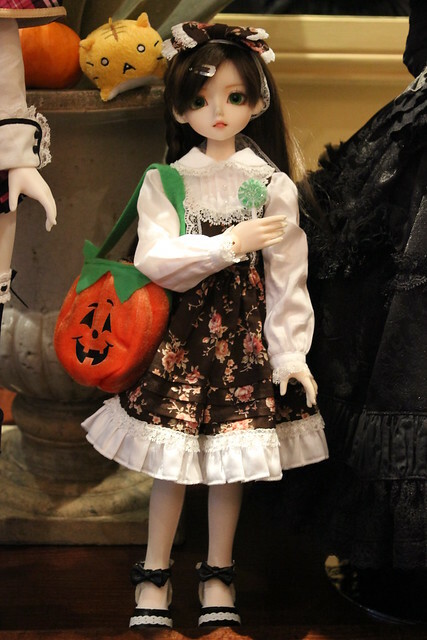 Keiko brought her MSD resin girl Eliza (Luts La Serenita Pine). Here are nkei’s twin Mariko’s. One is called Aiko. 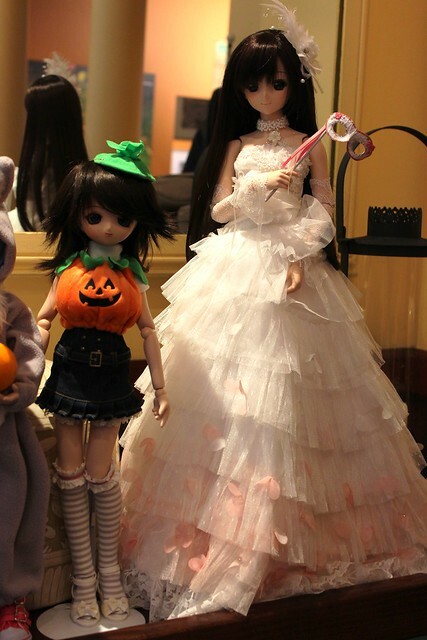 This entry was posted in BJD Misc, Doll Meetup, Dollfie Dream and tagged Annalise, Dollfie Dream, Gabrielle, Medée, meetup, Serena, Toronto by archangeli. Bookmark the permalink. Aww!! 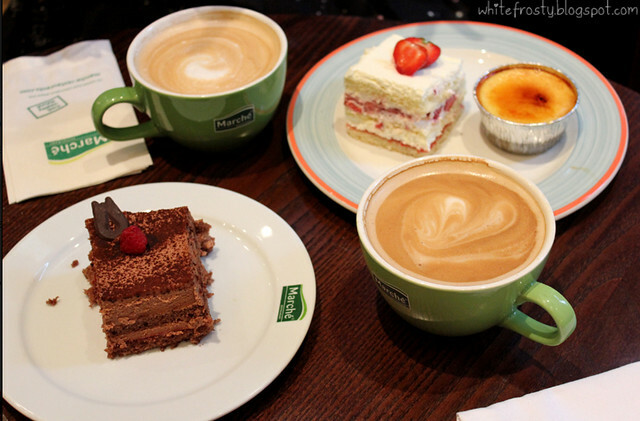 Super lovely photos! I love Gabrielle as a blonde, and that little kuroneko on her head…I want one tooo!!! !